If you're an existing Optus customer, you can make the most of your data with Data Pool. By combining data from eligible Postpaid mobile and mobile broadband plans on the one bill, you can share your data allowance across devices. Data Pool for you or your family! Combine eligible mobile and mobile broadband plans on the one bill to pool and share the included monthly data between your devices. The Optus Mobile Network reaches 96.5% of the population and our high speed 4G Plus network is available in all capital cities and 700 regional towns. If you need to leave your plan early you can. Simply pay out the full remaining cost of your device including any amount Optus was going to cover. Just pay out your tablet. If you need to leave your plan early you can. Simply pay out the full remaining cost of your tablet including any amount Optus was going to cover. Compare our 24-month mobile broadband plans and choose a device on a plan that best suits your needs. The Mobile TV /Music Streaming options are available on a month to month basis & do not form part of your plan. 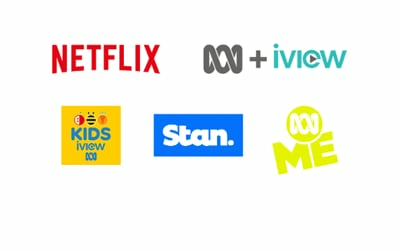 Optus may change or withdraw a streaming partner at any time with prior notice. Offline Video Downloads, mobile & mobile broadband WiFi hotspots, streaming on TVs (such as Chromecast, Apple TV and the like), other associated traffic such as ads, authentication, app analytics, Digital Rights Management and album art are excluded and will incur data charges. 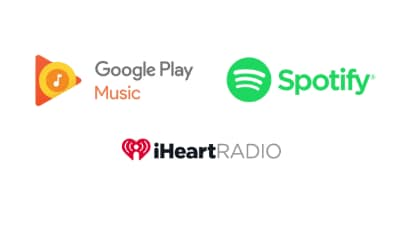 Streaming services may not have apps available on all mobile operating systems. Not suitable for HD quality video. Suitable for one stream per service on mobile & tablet devices only. The Apple Watch with GPS + Cellular uses Number Share functionality to access the Optus Mobile Network. The Apple Watch with GPS + Cellular is not the same as a mobile phone, some network functionality is not available on these devices and call quality may not be of the same standard as a mobile phone and may drop out in certain areas. OPTUS NUMBER SHARE: requires a compatible wearable device and mobile phone with iOS 12 or later (or iOS 11 or later for the Apple Watch Series 3). Only available if you have or sign up to an eligible Postpaid mobile phone plan and use your phone to sign up via the app. Voice over LTE (VoLTE) functionality will be enabled on your device. If you cancel your Number Share Bolt-on or your Postpaid mobile phone plan to which the bolt-on is attached, the number sharing functionality will not be available on your wearable device. Number sharing functionality is only available for use in Australia. Optus Number Share is a month to month option which is normally $5/mth, but is available at no additional cost on selected My Mobile Broadband Plus plans when purchased with a compatible Apple Watch.